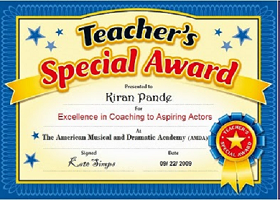 Greetings from Acting Coach Kiran Pande! Thanks for taking the time and giving us an opportunity to introduce our self - one of the best Professional Acting Coach, Character Actor, Short Filmmaker, A Free Acting Blog Writer located in the middle of Mumbai- between Ghatkopar East and Chembur West. 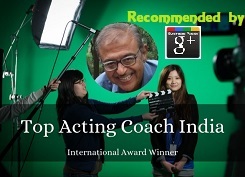 I have been serving for the past 10 years specializing in highly individualized, personal and professional coaching to aspiring actors in India and abroad. An acting coach helps actors reach their full potential by teaching them acting craft, marketing, and promotion. Also in-depth character development for specific role preparation and/or auditioning. Acting coaches provide personal attention and specialized acting techniques to both individuals and small groups if need be. What is my approach to acting as an acting coach? 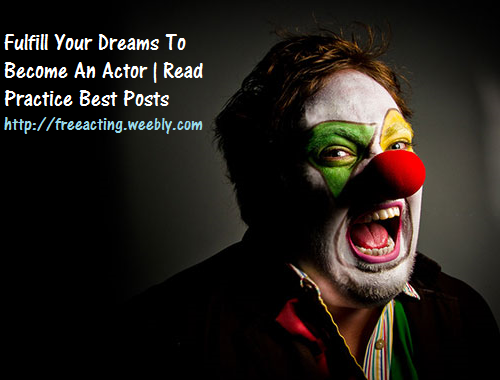 To have an acting talent is good, but it’s certainly not all that is required. 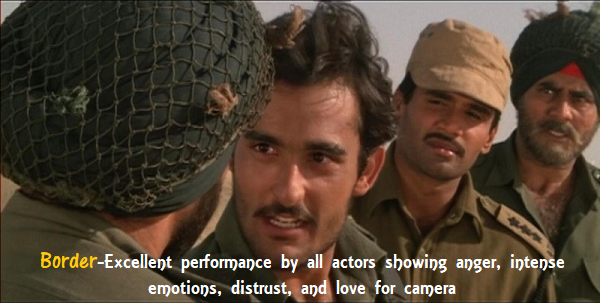 Beyond talent, there is a craft that must be shaped and sharpened over the life of the actor. This craft combines precise conditioning of the actor’s instrument( body and mind) with the intelligent work of knowing how to approach material (story, script, circumstances, characters etc) and what to do with it and in a scene. How my coaching can help actors? Do I prepare actors for auditions? 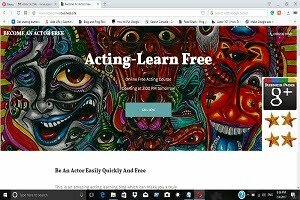 Why I take a private acting class? My experience of many years as an acting coach and as an actor helps actors to avoid many pitfalls. As an acting coach, I will listen carefully to actor's ideas, accept good ones with applaud and tell them to create more options for better ones, if need be. Do I mean acting schools are not good? 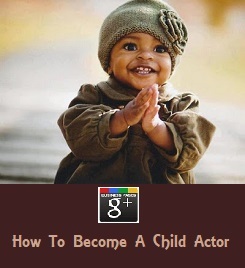 But how to get jobs after an actor finishes coaching with me? Awesome work sir! It's hard to believe and imagine how you are able to manage so many different tasks as a single person with such an extraordinary attention to detail! It really takes a lot of self-discipline, organization, and way more than above average skills to be able to work into different areas (like you are), and achieving the awards and titles and success that you have, takes even something more than mentioned above! You are a true role model not just for aspiring actors and artists, but each and every person in general, to get inspired from what you have done and already achieved and what you are achieving on a daily basis! I have been reading some posts on this blog since I discovered it a few days back, and I'm really grateful that I did. 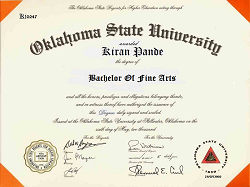 *Also, for those who are relatively new and are on the fence to decide whether or not to get coaching from Sir Kiran Pande, I would cordially suggest you all to get coached by an extraordinary achiever like him and feel lucky for yourself to have been able to discover a true guru like Sir Kiran Pande. @ Kiran Pande Sir: Extremely glad to have had a consultation with you and looking forward to get coached and trained by you.